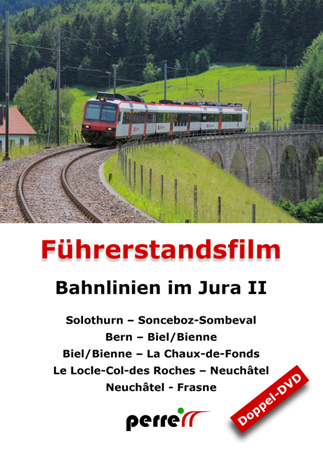 The film covers: (1) The BLS Solothurn - Moutier line continue on SBB tracks to Sonceboz-Sombeval, the transfer station on the line Biel - La Chaux-de-Fonds. 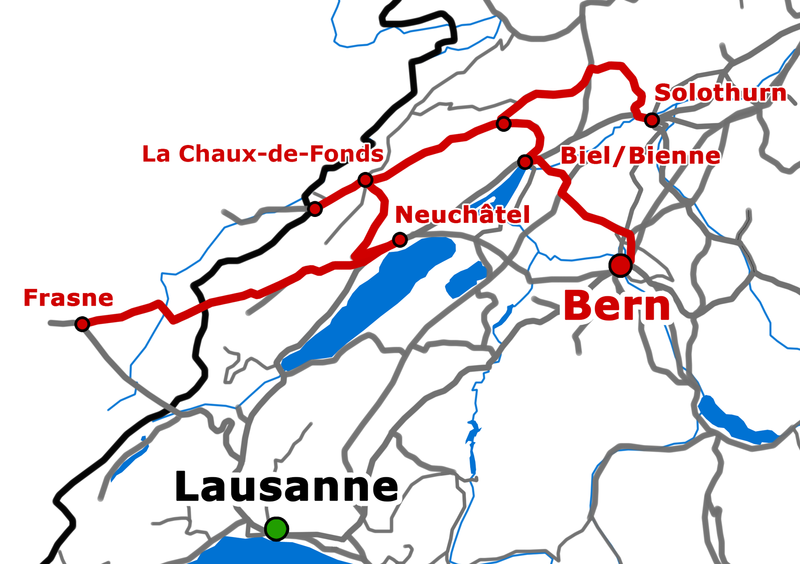 (2) Bern via Biel to La Chaux-de-Fonds. (3) Le Locle-Col-des-Roches border railway station to Neuchâtel. This track is the only SBB line in the SBB in Chambrelien station! (4) The Areuse Gorge (and across border) to the French station Frasne. DVD 1 Solothurn-Sonceboz-Sombeval 54' 15"
DVD 2 le Locle-Col-des-Roches-Neuchatel 34' 11"